One of our favorite things about the Halo franchise are the many ways to experience its rich setting – from the games themselves to the dozens of novels, live-action and animated films, comics and more, that have been created and crafted over almost two decades. Today, we’re excited to give fans a brand-new way to experience and immerse themselves in this beloved science fiction universe. Welcome to Halo: Outpost Discovery. Halo: Outpost Discovery is a touring fan experience for all ages, that brings the Halo video game universe to life like never before. This weekend-long event lets you step into Halo’s vast and epic world, with enthralling themed attractions, interactive in-universe encounters, the latest playable game releases and so much more. Experience details, ticket information and more are available right now at HaloOutpostDiscovery.com. Whether you’re a Halo veteran or completely new to the franchise, Halo: Outpost Discovery offers numerous experiences designed with everyone in mind. Featuring more than 300,000 square feet of activities designed to celebrate all things Halo, this weekend-long adventure will begin touring summer 2019, appearing at five major metropolitan areas across the United States in its first year. Explore The Ring Experience, get up close and personal with a real-life Warthog, battle fellow recruits in an epic laser tag arena, experience thrilling in-universe encounters with the latest simulation and VR technologies and much, much more. Take advantage of hundreds of game stations to play, compete and explore the storied Halo game series. Attend one of our many themed panels, meet the creators, special guests and learn how the Halo universe is made, or take part in one of the many available community events to learn how to livestream gameplay or build an epic cosplay costume. To bring this experience to life, we’ve partnered with Herschend Live – one of the world’s leading and most renowned attraction and immersive experience creators. From the Harlem Globetrotters to Dollywood, the entertainment experts at Herschend have delighted people of all ages for decades and are extremely excited to help us immerse you in the universe like never before. We can’t wait to share more with you in the coming months and look forward to seeing you and your families’ boots on the ground at Halo: Outpost Discovery later this year. 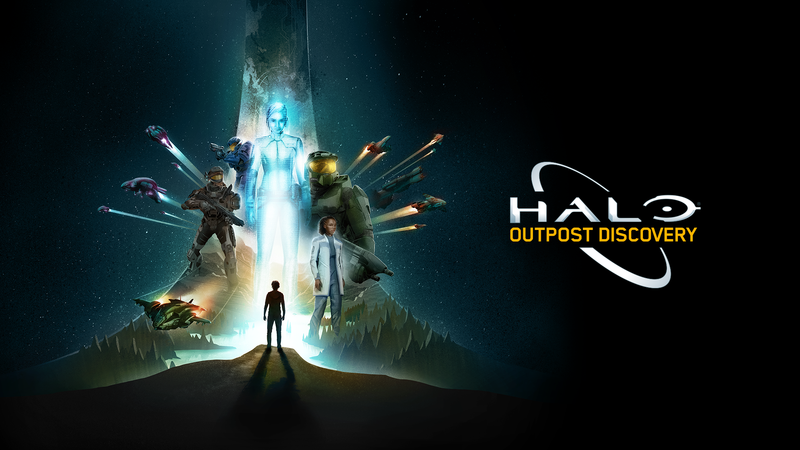 Head to HaloOutpostDiscovery.com and @HaloOutpost on Twitter for the latest official news, ticket information and more on the Halo: Outpost Discovery summer experience. 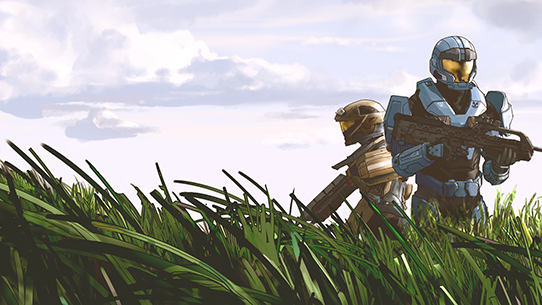 For all things Halo, stay tuned to Halo Waypoint and @Halo on Twitter. Greetings! Welcome to the first in a series of updates discussing the development of the recently announced Halo: Outpost Discovery, a traveling fan attraction that will let the whole family dive into the Halo universe in ways you haven’t experienced before. Hello there! 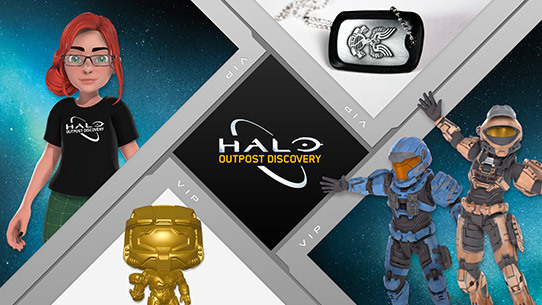 Welcome to the next edition of our updates and insights on Halo: Outpost Discovery, an epic traveling attraction that will let the whole family experience into the Halo universe in some pretty awesome new ways. Today we’re excited to talk a bit more about the VIP package available to die-hard fans when Outpost Discovery begins its tour later this summer!